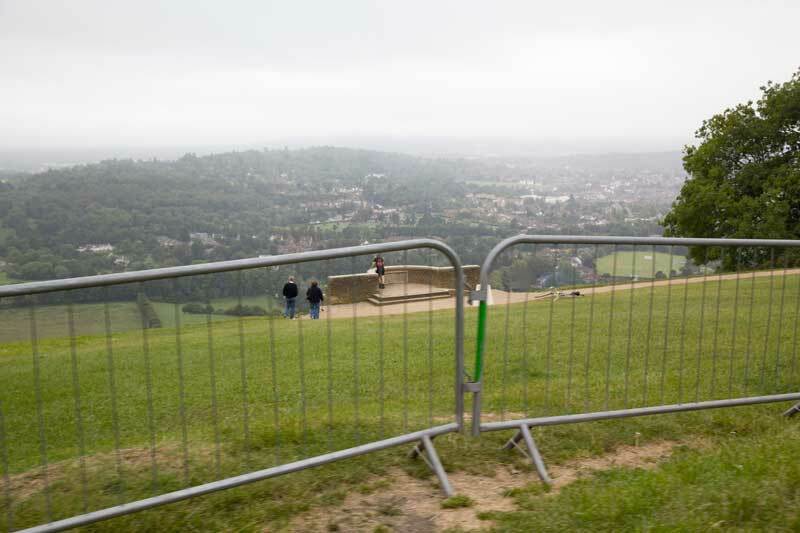 Box Hill is preparing for the London-Surrey Cycle Classic this Sunday, erecting fences and crowd barriers. The focal point of the race is being shut off to all but 3,000 spectators after fears of the ecological sensitivity of the area were raised. 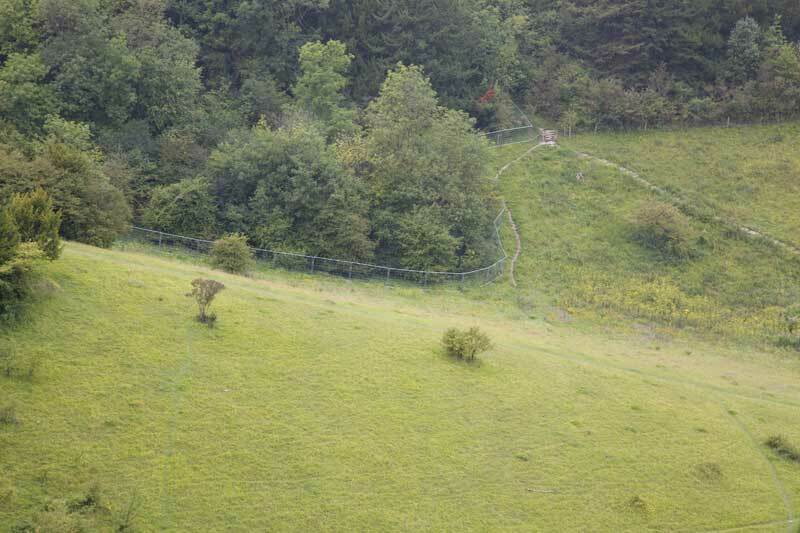 The problem for the organisers is the access to the SSSI (Site of Special Scientific Interest) area, run by the National Trust, has multiple access points. 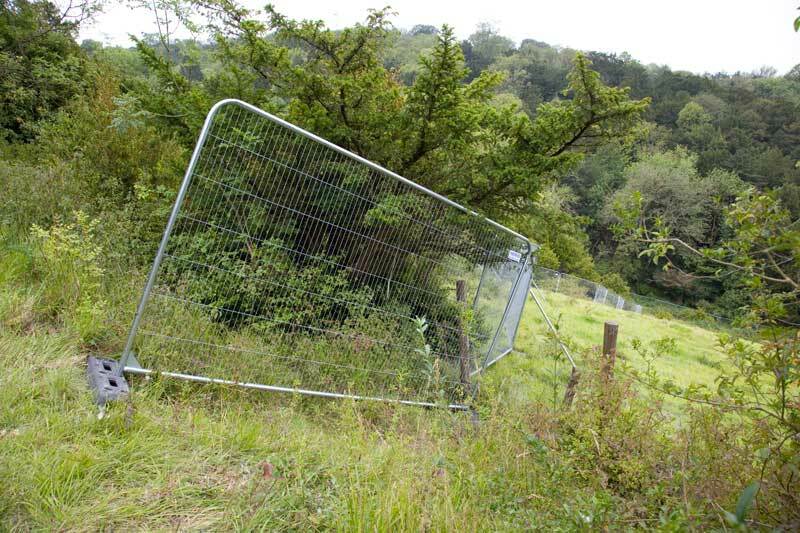 To overcome this they have had a team of workers erecting fences along the woodland borders through which people could access the grassland that offers such a perfect vantage point. The 3,000 people issued with wristbands will be located on the slope above the first hairpin where they should get a good view of that section of the road. 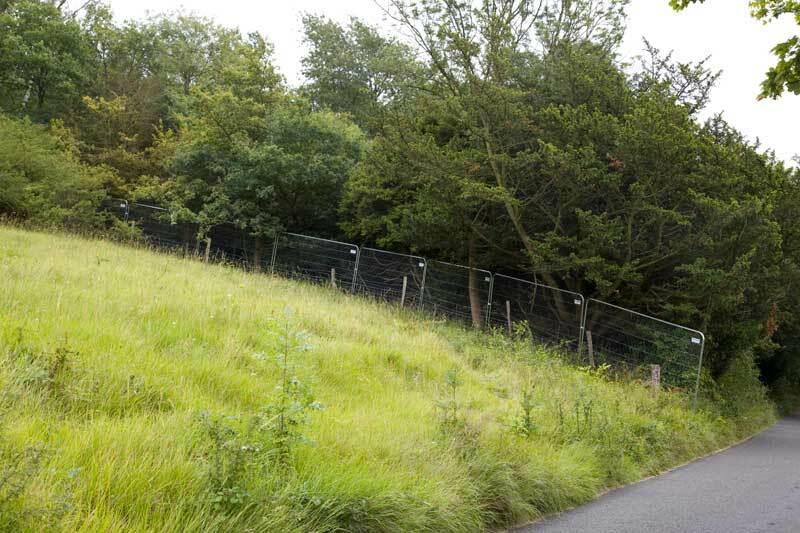 Unfortunately for the riders, spectators and television, the vast majority of the climb will be left void of specators and therefore atmosphere. Above and below – Six foot high fences line the woodland borders to stop people getting through the trees and on to the grassy banks. The land here is chalkland and can be slippery when wet and where plants live on shallow roots that are easily disturbed. Orchids also grow here and the grassland in general around Box Hill is rife with hundreds of species of insects. Normal crowd control barriers are a common site at bike races. These ones line the road where it flattens out over the topof the climb. 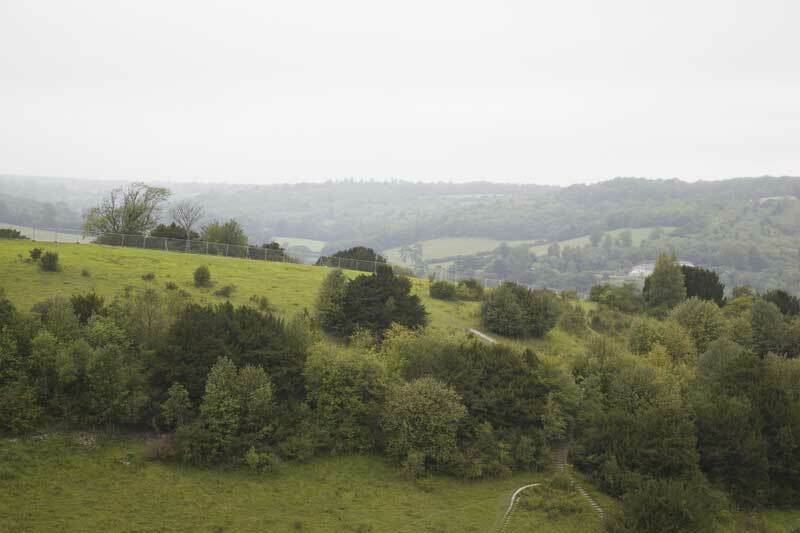 This is the Box Hill view point that looks directly south over Dorking and beyond. This area, always busy on a sunny weekend, is also restricted for the road race. 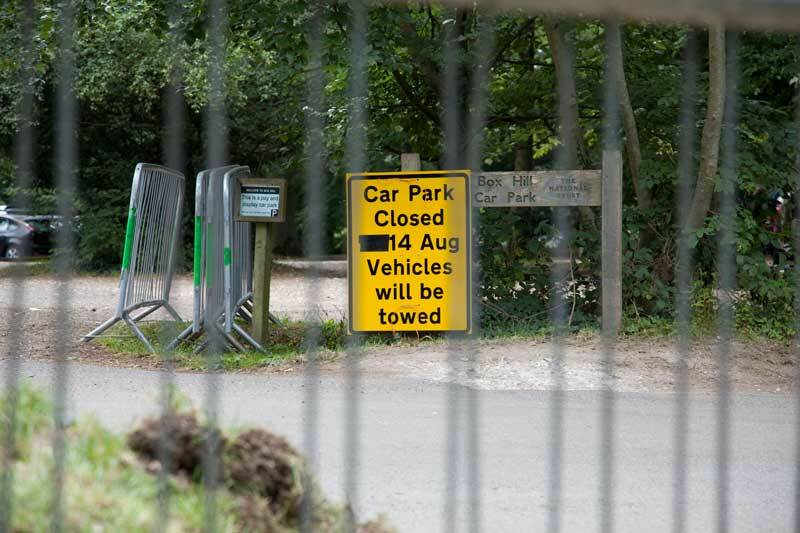 No surprises that the National Trust car parks at the top of Box Hill were closed today. A crane has been in place behind the cafe at the top of the hill for several weeks from where static images will be filmed during the race. 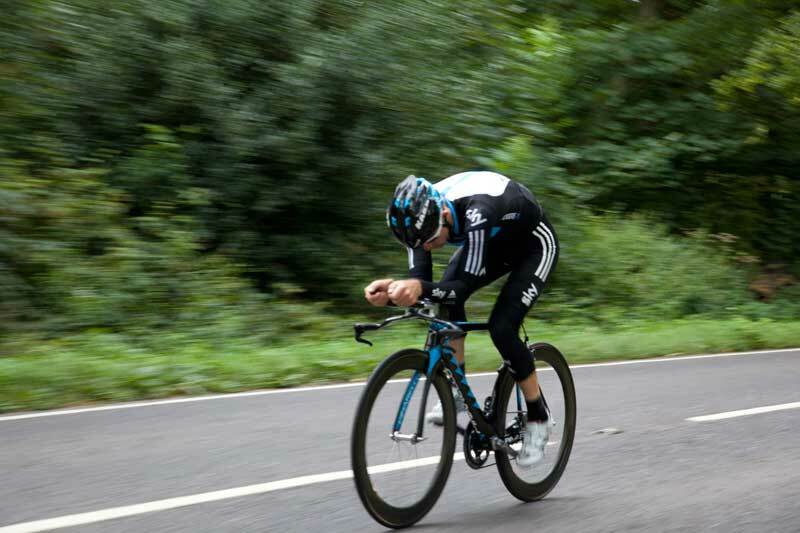 Above and below – Australia’s Richie Porte (Saxo Bank) was out training on Box Hill this morning, on his time trial bike. 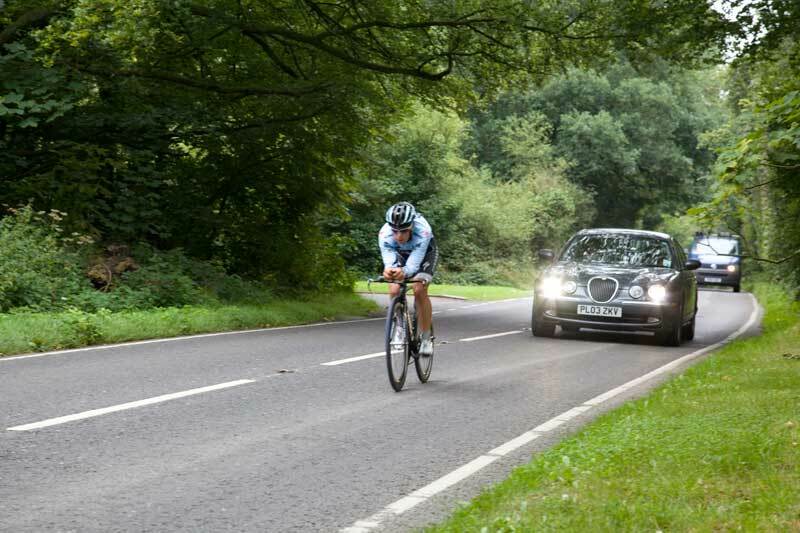 The car he is following is his support car. 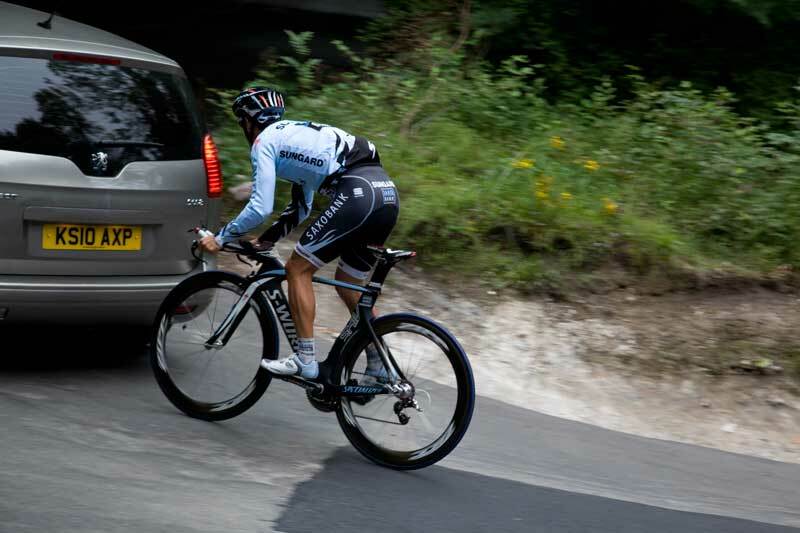 That didn’t stop him nearly going in to the back of it when it slowed down for one of the many speed bumps on the road. 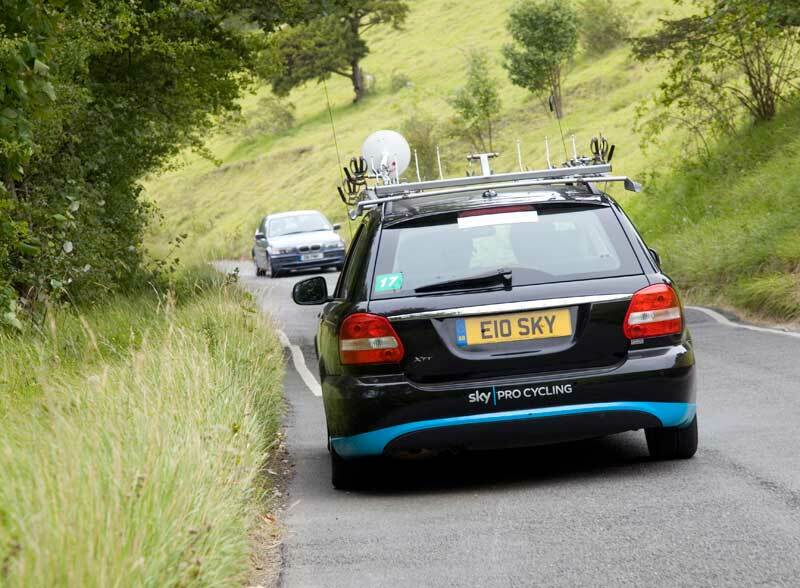 Team Sky’s Michael Rogers was also out training on the hill on his TT bike with a Team Sky car in support.